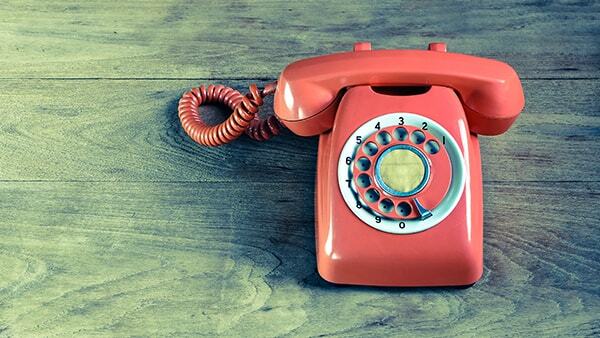 To appear credible in business, a phone number is important – even if you are web-based. It gives customers a human point of contact that establishes trust in a way that email alone cannot. And, because of this, including one on your website can lead to more conversions – or, put simply, you selling more of your products or services. But what is the best type of phone number to include on your website – local landline, mobile or a virtual 1800 number? Ultimately it depends on three things: your business, budget and your customer service strategy. Here we break it down step-by-step to help you make the right decision. The first question you should be asking when making your choice is: what phone numbers do I currently have for my business? Do I have a dedicated business landline and/or mobile? Or do my customers contact me on my own personal phone numbers – home and/or mobile? If you don’t currently have a business number, you should consider setting one up. Not only can a business line filter your calls, but it also helps keep your work and personal life separate. Admittedly, it can be costly to set up and run, but it does make you more credible and professional to customers. If you have your own designated business premises with a regularly manned landline, chances are your local landline is a suitable number to provide on your website. Not only does it give your business a legitimate geographical location, but it is also cheaper for customers and clients to call and offers a more reliable service than mobile. However, if you, or your staff, are often away from the office, or if you have a business without a physical location, using your mobile number seems sensible. By giving customers a mobile number you can ensure you never miss a call and they can readily contact you, even after hours. This is great for customer service, but can be costly to the caller; something to consider. If you have the flexibility, include both on your website. If you do not have a number you are happy to place on your website for whatever reason – whether a local landline or a mobile – you could look to get an 1800 number. Not only are they recognised nationally as a legitimate business number and free for your customers to call, but they are a great marketing tool. Known as a ‘virtual’ number, when your 1800 number is dialled the line is diverted to a landline or mobile of your choice. In addition, it can be linked to a number of lines, each diverting if the previous one is not picked up. This offers you call privacy and flexibility and is also customer-friendly – but again there is a cost. By asking yourself the questions covered in these three steps, you should get a good idea about what number it would be best to include on your website. Ultimately, if the business number you are providing is regularly answered, cheap to call and works for you and your customers, you’ve made the right choice.